It is National Anti-Bullying Month from the 31st Oct - 30th Nov 2016and this book examines the long-term effects that bullying can have. Biddy Weir is a shy young loner. Abandoned by her mother as a baby, and with a father who's not quite equipped for the challenges of modern parenting, Biddy lives in her own little world, happy to pass her time painting by the sea and watching the birds go by. What follows is a heart-breaking tale of bullying and redemption, of falling down and of starting again, and of one woman's battle to learn to love herself for who she is. Biddy Weir is strange in the eyes of her peers. She doesn't have the right clothes, she doesn't have any social skills and she's extremely introvert. She's quite special with her fiery red hair and love for birds. 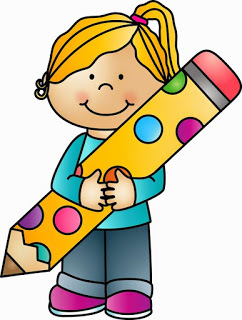 Biddy is great at drawing and she enjoys creating. At home there's mainly silence, she and her dad hardly speak. Biddy hasn't got a mother, she left when Biddy was a baby and Biddy's father has no idea how he's supposed to raise a child. Therefore Biddy is different, which was never much of a problem until she meets Alison Flemming. Alison is new at school and wants to be popular. She needs someone to make fun of and that is when the bullying starts. She chooses Biddy as her victim and Biddy is defenseless against Alison's evil scheming. Alison makes Biddy's life at school a living hell and Biddy silently undergoes it all. If only there would be someone who sees her for who she really is, someone who can appreciate the special and wonderful personality of Biddy Weir. The Lonely Life of Biddy Weir is a heartbreaking story about bullying, being an outcast and not fitting in. Biddy doesn't stand a chance against her tormenter. Alison is world-wise, she's mean and she's ruthless. I instantly disliked her. Lesley Allen has put so much into this character and the way Alison thinks is both scary and interesting at the same time. She's written an amazing heartfelt story about what it's like to be bullied and I think she's perfectly described the feelings of fear and dread, the constant stress of having to be on guard and the unbearable pain the victim has to deal with. I was greatly impressed with the way she tells her story. Biddy is terribly naïve. She has no idea how the world actually works. Her father brings her up, but he doesn't know much about raising a child. He loves Biddy, but he doesn't really see her. My heart ached because nobody notices how wonderful she is. Biddy is sweet, talented and passionate. Being different isn't bad, it's fascinating. I loved that message. Biddy has to learn to stand up for herself. With a little help she might even start to love herself again. I had tears in my eyes when I read about her journey. 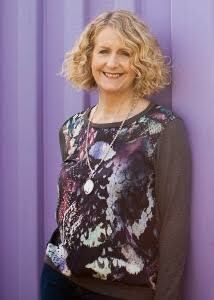 Lesley Allen doesn't exaggerate, she describes everything exactly the way it is. This makes her story intimate and because of that it's incredibly moving. I held my breath when I read about the ending of Biddy's high school days and I had tears in my eyes when I finished that part of the story. Lesley Allen made me feel so many different emotions, which is something I loved very much. The Lonely Life of Biddy Weir is a beautiful story with many different layers. It's a thought-provoking novel. It's honest and raw and there's no sugarcoating, what happens to Biddy is something that easily could have happened in real life. I hope all 'Biddies' in the world will meet someone good who makes them find their true value again. 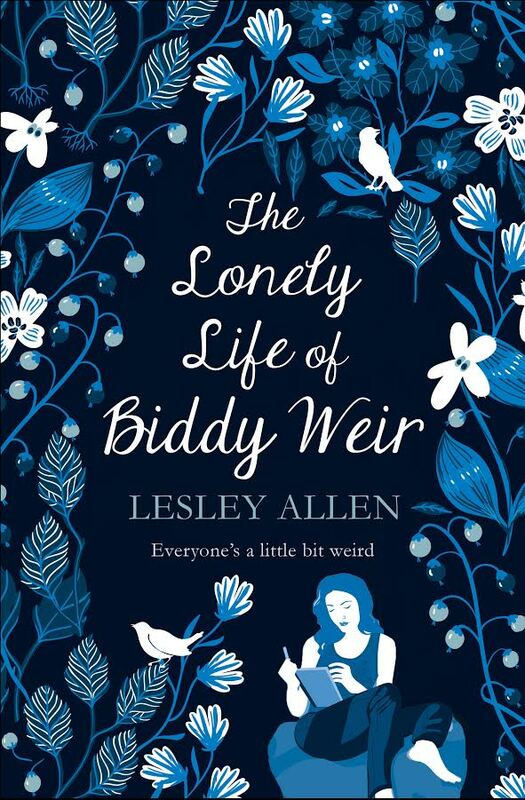 I think The Lonely Life of Biddy Weir is an absolute must-read and I highly recommend this brilliant book. My first response to this question is always the same: do I have to pick just one? Really? Just one? Okay then, well, bear with me for a moment while I work it out. So, if we zoom back to my childhood, those blissful days when my nose was rarely out of a book, my life-changing novel could perhaps be Peter Pan by J.M. Barrie. I completely fell in love with Peter, wanted to be Wendy and was furiously jealous of Tinkerbell. No, wait – I think it might be Are You There God? It’s me, Margaret by Judy Blume. I’m not at all religious, but when I was 11, on the cusp of teendom, I too wanted to know the answer to every question Margaret asks ‘God’ about periods and bras and boys. I clearly remember thinking that Judy Blume wrote that book for me, and me alone. How did she know? I wondered. How did she know? Or could it be Little Women by Louisa May Alcott? Oh how I ached with love for this book. I poured over every word, laughed, cried, held my breath and felt the first stirrings of feminism thanks to the fearless, feisty, ferocious Jo March. I knew that one day if I had a daughter she was bound to be called Meg, Jo, Amy or Beth – and I’m chuffed to bits that today my very own Aimee is a huge Little Women fan herself! Let’s flip forward a bit to my teens - the years when a whole big brilliant new world of reading was revealed. During these years I met literary legends like Austen, the Brontes, Hardy and Dickens; I fell in love with Fitzgerald, swooned over the genius of Sallinger, and first experienced the ‘wish I could write like that’ feeling when I encountered Harper Lee and Sylvia Plath. Could my life-changing book then be To Kill a Mocking Bird? Or maybe The Bell Jar? My twenties represented the best of times and the worst of times in my reading life. The reading list for the English Lit part of my degree introduced me to some of the masterpieces by other literary Gods: Kafka’s Metamorphosis, Conrad’s Heart of Darkness, Hemingway’s The Old Man and the Sea. I discovered, to my joy, that Fitzgerald was not a one trick pony with both Tender is the Night and The Beautiful and the Damned enthralling me as much as Gatsby had. And then there was (oh God, I still feel weak at the knees when I mention it) Le Grand Meaulnes by Alain-Fournier. Could that be The One? At the very start of my thirties I was a single career girl with my very own mortgage who liked to party and could write a mean press release. By the end of that decade, I was a married mum who had left my job to become a freelancer. I still liked to party, but was growing tired of writing press releases. I felt an itch somewhere deep within that I couldn’t quite reach, an increasingly unsettling irritation. And then, not long before the clock ticked over to forty, I read a book I’d been hearing about – and finally I could scratch that itch. It was The Lovely Bones by Alice Sebold. This was the book that finally made me want to write. Well, I’d secretly wanted to write for a very long time, but I’d buried that childhood ambition so deep within – folded it up and tucked right inside my ribcage - that I didn’t recognise the ache when it started to unravel. But The Lovely Bones dragged it out and slapped me around the face with it. I don’t know exactly what it was about the book that triggered such a physical reaction. Perhaps, as murdered Susie Salmon narrates the tale from Sebold’s intriguing interpretation of heaven, it was the realisation that with fiction, anything is possible. It still took me a while to get going, but that book made me realise I couldn’t ignore my dream forever. In my forties there were more wonderful books, more amazing writers to discover. David Nicholl’s One Day made me cry in public and recognise the power that the writer has to punch their readers in the gut. 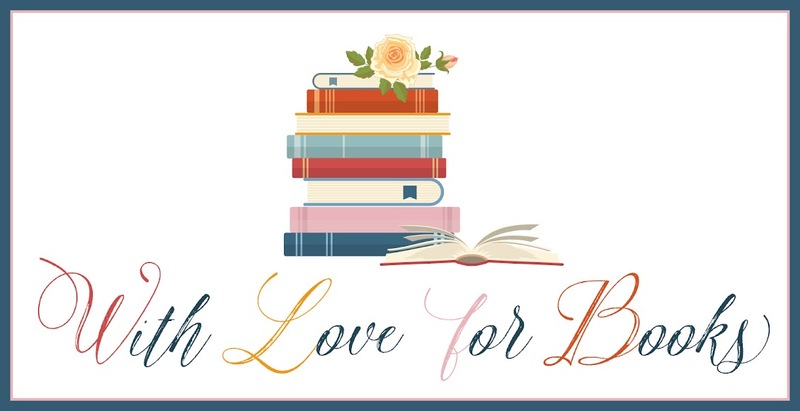 These were the years when contemporary women’s fiction really took a hold of me, with writers like Maggie O’Farrell and Zoe Heller and Sarah Winman sweeping me off my feet. And so many more. So, so many. 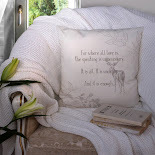 Now in my fifties, as a single working mum with one novel completed and a second underway (just writing that makes me giddily dizzy) finding the time to read is the trickiest it has ever been. I could build a den from the pile of books beside my bed, and my kindle is full to bursting – but I am still reading as often and as much as I can. It’s essential for my wellbeing – it’s a lifeline. But we’re running out of time here, and you’re getting bored – I can sense it. So, it’s Make Your Mind Up Time! Of all the glorious books and dazzling writers I have cited above, and all the others I have omitted to mention, the one that I can hear shouting the loudest from the throng is The Lovely Bones. It is the book that finally led me to write my own, and now, I hope The Lonely Life of Biddy Weir will change my life a little bit too. Actually, it already has. 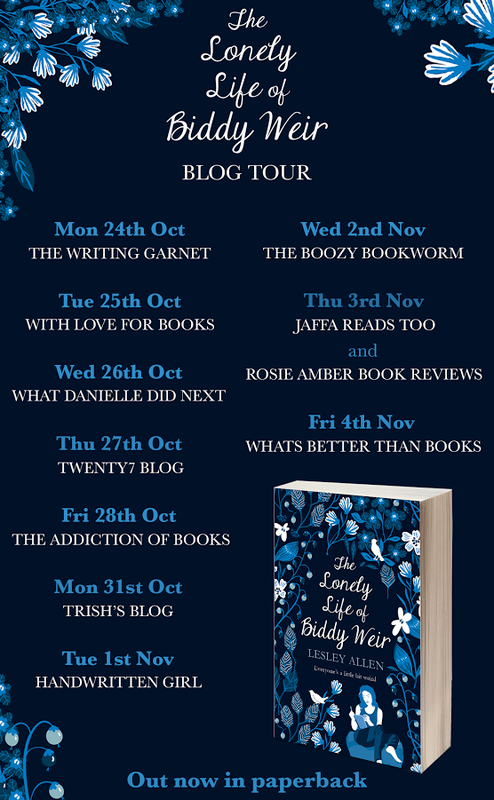 One very lucky reader of With Love for Books will receive a paperback copy of The Lonely Life of Biddy Weir. The book review sounds good. Thanks for sharing. Love the cover and guest post too. This is my first time seeing this book, so thank you for the introduction, lovely guest post, and review. It sounds like my sort of read. Thanks for the chance to win. 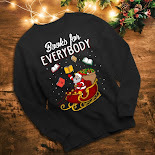 I love this line, taken from the synopsis: "[This book] is a story with universal appeal, which ultimately affirms the value of being different." Kudos to Ms. Allen for writing this book. I think that there is or was a bit of Biddy Weir in so many people. And from what I can gather from this post, I imagine that more than a handful of readers will find comfort and strength in this book. Sounds really emotional and thought provoking. I'm happy to have met you as an author. How nice that the author has chosen to write about such a hard topic. I find that when I was growing up bullying wasn't something discussed, so this sounds wonderful! this soulds really good, what a great cover!! 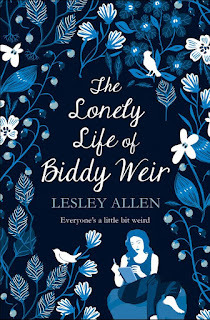 of The Lonely Life of Biddy Weir by Lesley Allen. and i like the book cover. I haven't read Lesley Allen yet, but this books looks amazing!